Nightingale is a long standing side-project of Dan Swanö (most famous for his work with Edge of Sanity). Formed back in 1995, this is Dan Swanö’s prog-rock creative outlet, and ALIVE AGAIN is the band’s fourth full-length. Dan Swanö is almost certainly one of the most prolific metal artists (and possibly of any genre) in the past decade. Since 1990, Dan has performed as a member on over 30 albums with over 12 different projects, ranging from death metal to prog-goth to synthpop. His most famous projects besides EoS and Nightingale include Pan-Thy-Monium and Bloodbath. If you are not an open-minded listener, then you should probably skip the rest of the review and move on to the next. With that said, there isn’t much in terms of metal that ALIVE AGAIN has to offer. Swanö and Co. takes the progressive rock approach, both modern and 70s prog, mixes it up with some AOR influence, and straight-up rock-metal. The band combines synergistically to come together as a cohesive unit. The team of Dan and his brother Dag hold down the guitar duties quite well. The tone is largely clean with just a small amount of distortion, and the riffs and hooks, though not very powerful, are pretty damn catchy and keep things interesting. In addition, Dan’s vocal performance makes the songs stand out even more. Unlike his growled vocals in Edge of Sanity, Dan’s voice here is rich and clean, which is also rather melodic and complementary to the catchy rhythms and choruses offered up on this album. Standing out for me on this album are several songs. “Shadowland,” the album’s first full track features some slick, driving leads and a rich, dynamic chorus. “State of Shock” is another, with its heavy, punchy riffs and great hooks. “Shadowland Serenade” bridges the experimental with the rocking in an all-around great tune. Closing out the album is “Forever and Never,” which focuses more on creating a heavy atmosphere in addition to its experimentation. This is the sound I wish Nightingale would target instead of their wandering experimental tracks. ALIVE AGAIN continues on the concept first laid out in Nightingale’s debut, THE BREATHING SHADOW and carried through the subsequent albums. This is my first experience with Nightingale, so I cannot compare it to the band’s back catalog. I found the packaging to be quite bland, with its grey-toned, uninspired cover and similar book layout. I think that one of the black and white Gothic-styled pieces from the liner (especially the Grim Reaper piece on page 2) would have been a better cover. Flashy covers must be out of fashion as increasing numbers of bands are taking the generic art approach. Personally, I want a certain degree of flash with every album I buy. Overall, ALIVE AGAIN: THE BREATHING SHADOW PART IV has been a rather pleasant introduction to Nightingale. I wish that the band would choose either to take the heavier route or the synthy, experimental route rather than mish-mashing them together creating a mixed bag of an album. 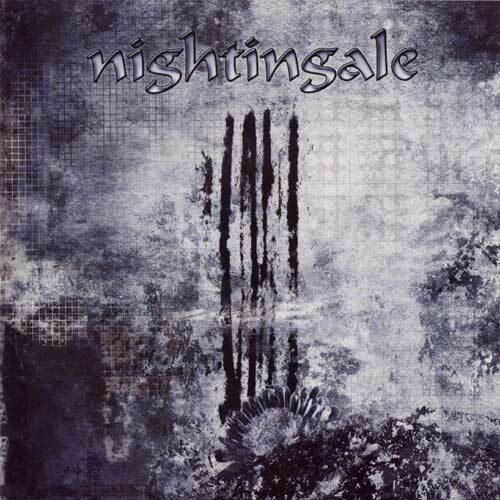 For the most part, I enjoyed what the band offered up here, and I’m sure that fans of progressive and/or melodic clean rock-metal will like what Nightingale has to offer.